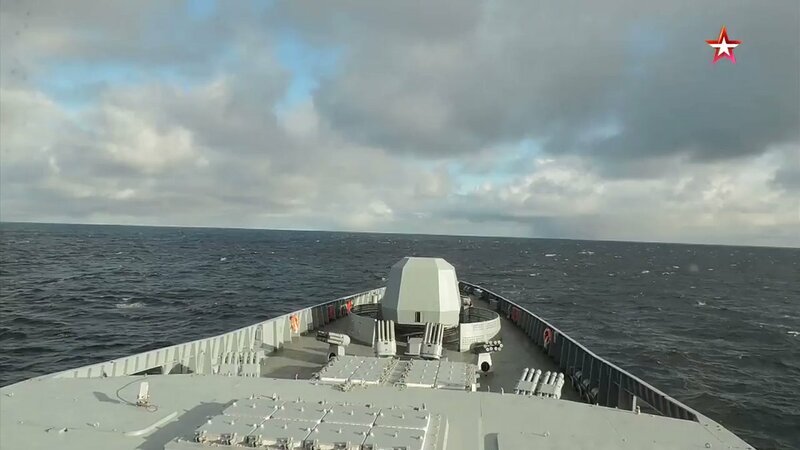 Russian Navy "Admiral Gorshkov" frigate test fired "Poliment - Redut" surface-to-air missile system, naval version of S-350E Vityaz. 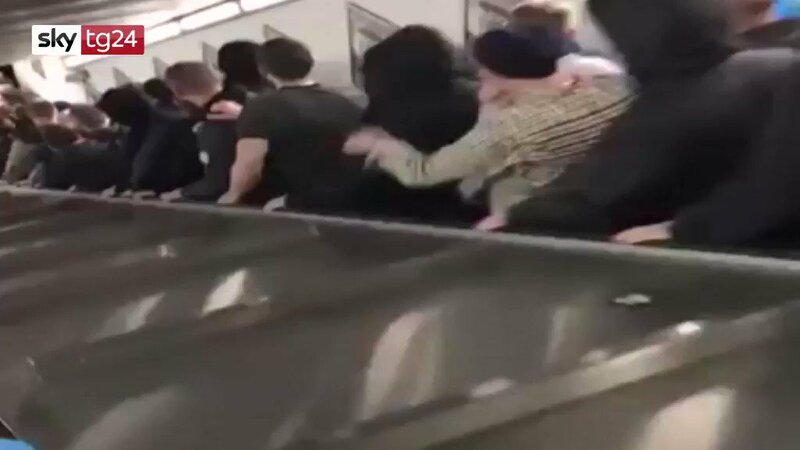 At least 20 Russian football fans were injured when a metro escalator in a busy Rome metro station collapsed on Tuesday night, local media reported. 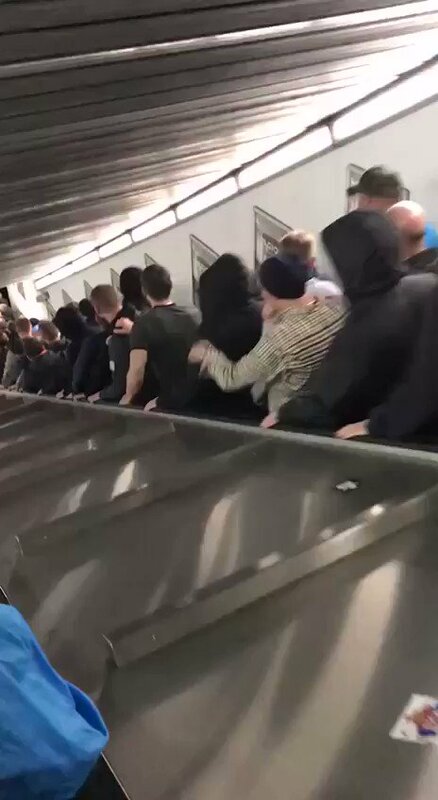 Serious incident in Rome metro station after that allegedly CSKA Moscow fans jumping on escalator provoked collapse. 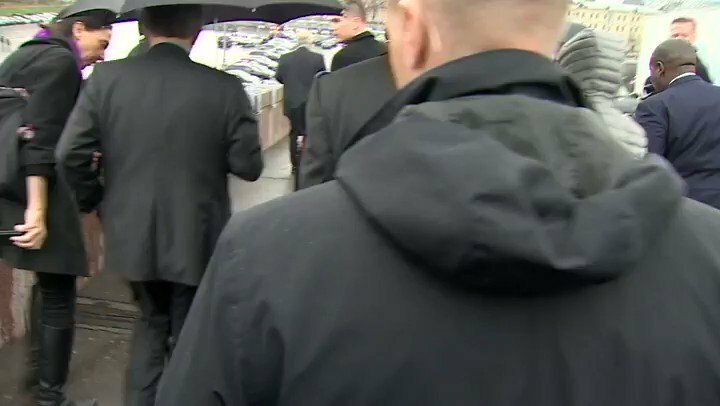 20 fans injured, 10 in serious condition, 1 had foot amputated. "This is not a subject that arose yesterday," says @AmbJohnBolton about Russia violations of INF treaty. 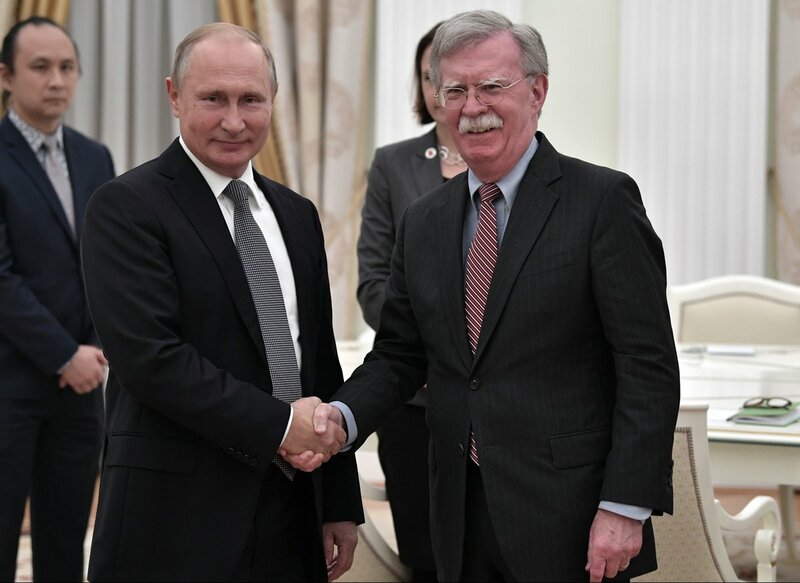 During talks in Moscow @AmbJohnBolton says he had discussions about continuing concerns of Russia meddling in US elections, as well as arms control. 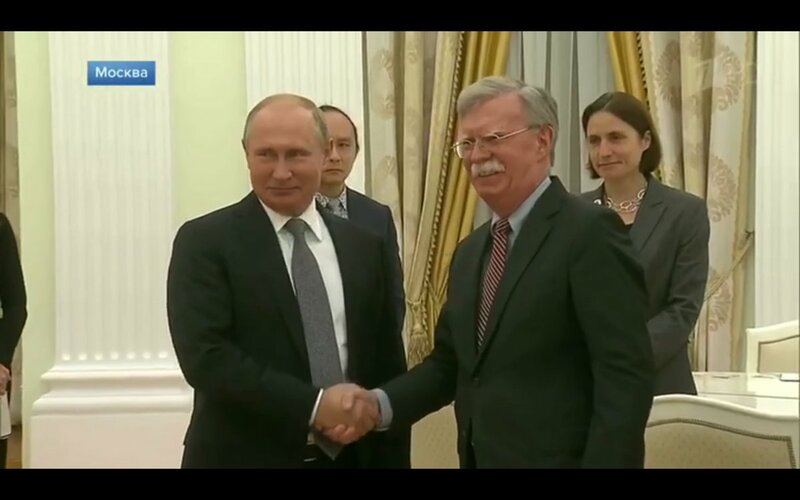 In Moscow @AmbJohnBolton says @POTUS looks forward to talking with Russia President Putin in Paris. 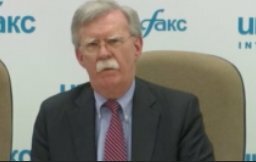 Bolton confirms that Putin and Trump will meet in Paris on November 11 - "We will make the precise arrangements on that, but it will happen on the 100th year celebration of the armistice." 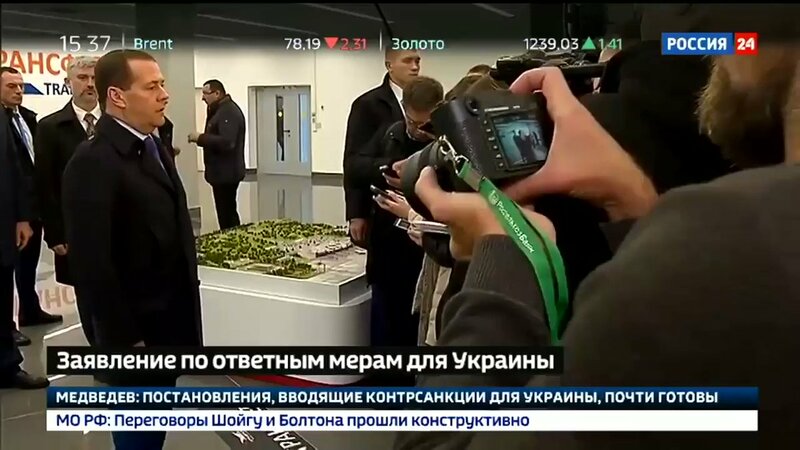 Putin: "As far as I can remember, the US seal depicts an eagle on one side holding 13 arrows, and on the other side an olive branch with 13 olives. 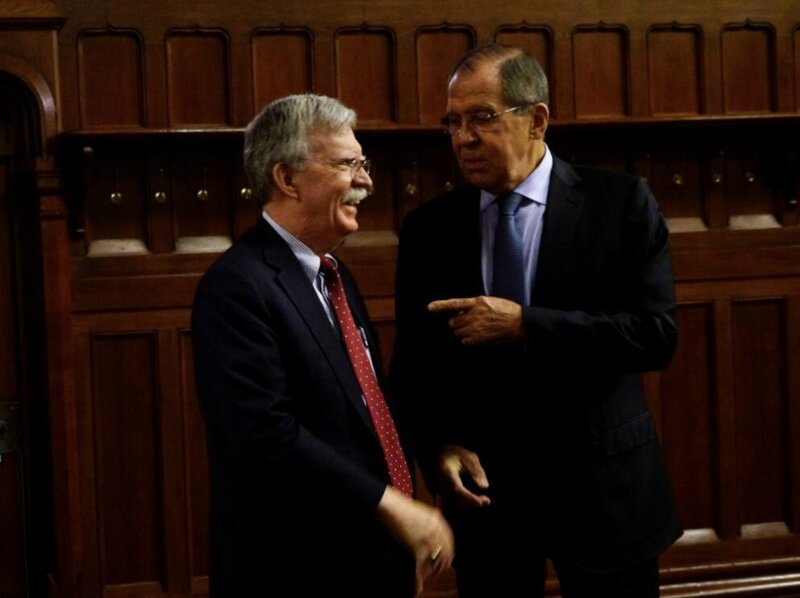 Here's the question: Did your eagle already eat all the olives and only the arrows are left"
Bolton-Putin meeting has begun at the Kremlin. 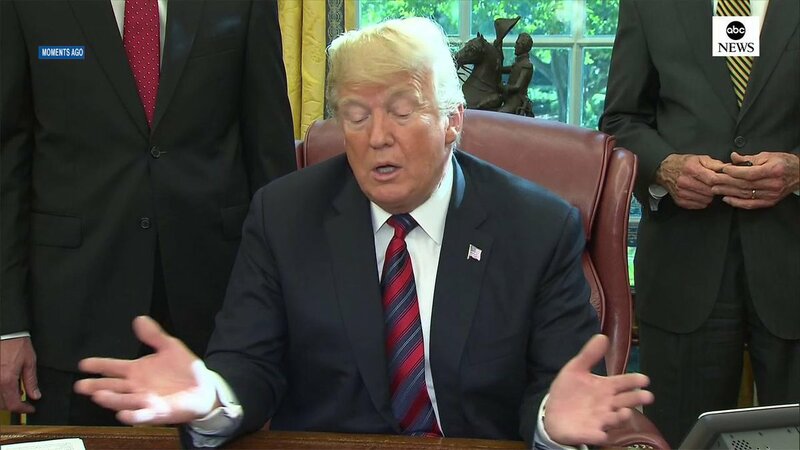 US side looks to be same as for Bolton visit in June: Amb. Huntsman and NSC's Fiona Hill + Joe Wang. 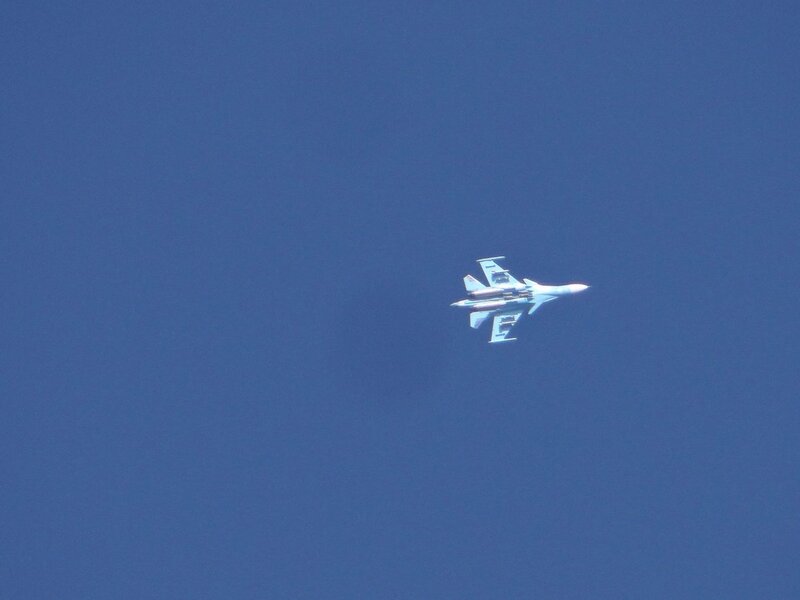 Yesterday, for the first time, US Air Force aircraft RC-135V carried out reconnaissance flight along the coast of Georgia's breakaway region of Abkhazia. 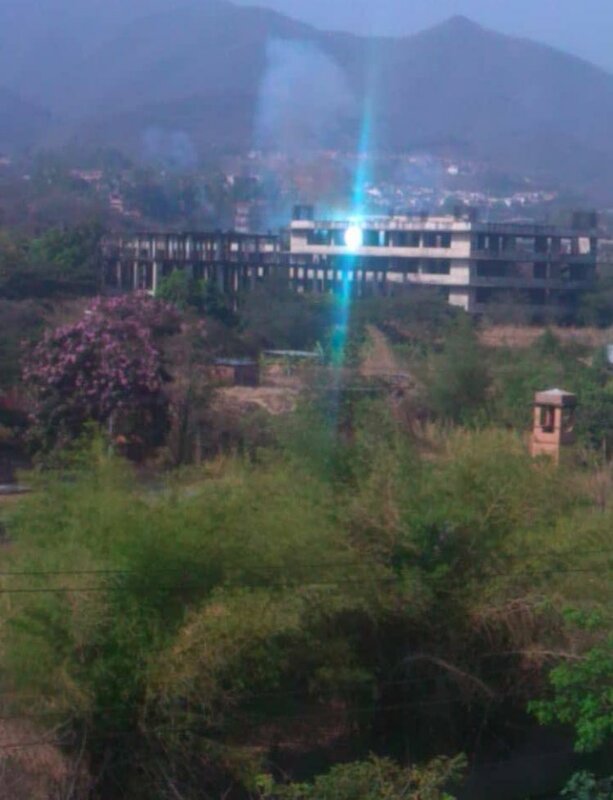 It flew for about 15 minutes from Russian border to Sukhumi. US Cyber Command has begun operations against Russians trying to influence midterm elections. The so called direct messaging campaign to deter Russian propoganda efforts is first cyber operations to defend US vote. 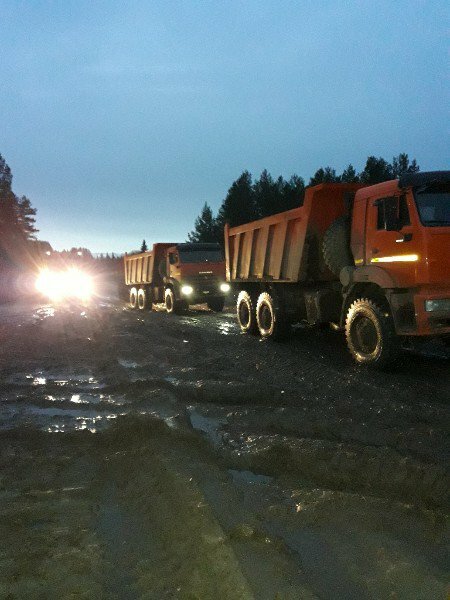 Activists in Komi block a planned new garbage dump for waste from Moscow, 1,000 miles to the south. 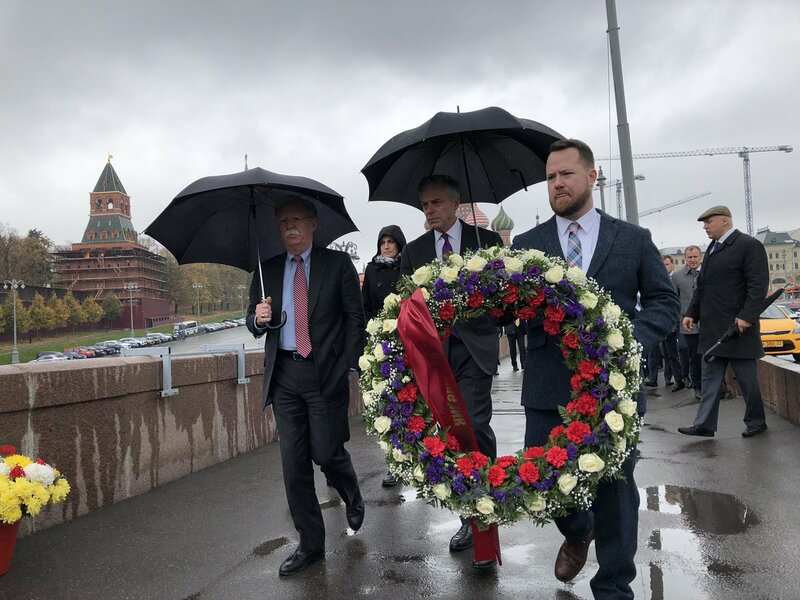 Bolton's Moscow wreath diplomacy: one to the Tomb of Unknown Soldier, one to the unofficial Boris Nemtsov memorial. RuAF Tu-154M "Careless" RA-85041 Moscow - Kaliningrad. 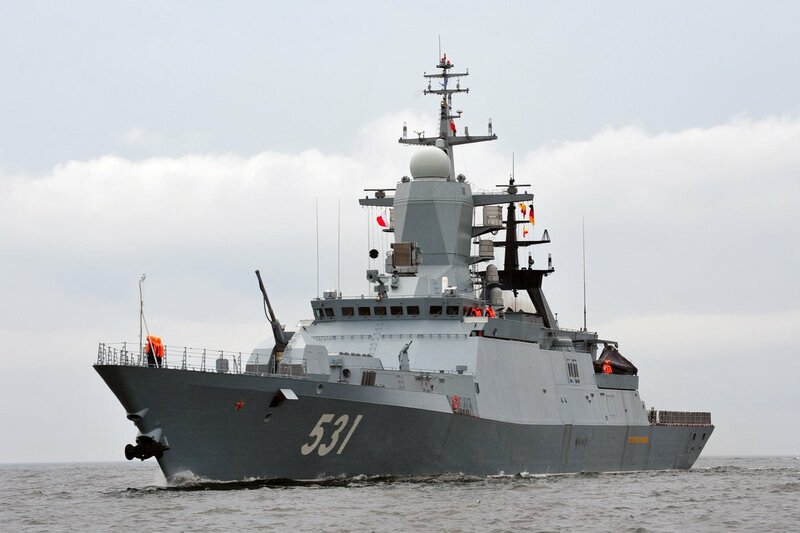 Russian Navy Baltic fleet Project 20380 corvettes SOOBRAZITELNY 531 and STOIKY 545 left Kaliningrad for a "long distance voyage" in the North Atlantic, accompanied by the oiler KOLA and KONETSKY, the inevitable tug. [email protected], incoming head of Senate Foreign Relations Committee, says he supports Trump's withdrawal from the INF Treaty: "The time has come to set the Treaty aside and develop alternative avenues toward the security the treaty once provided." 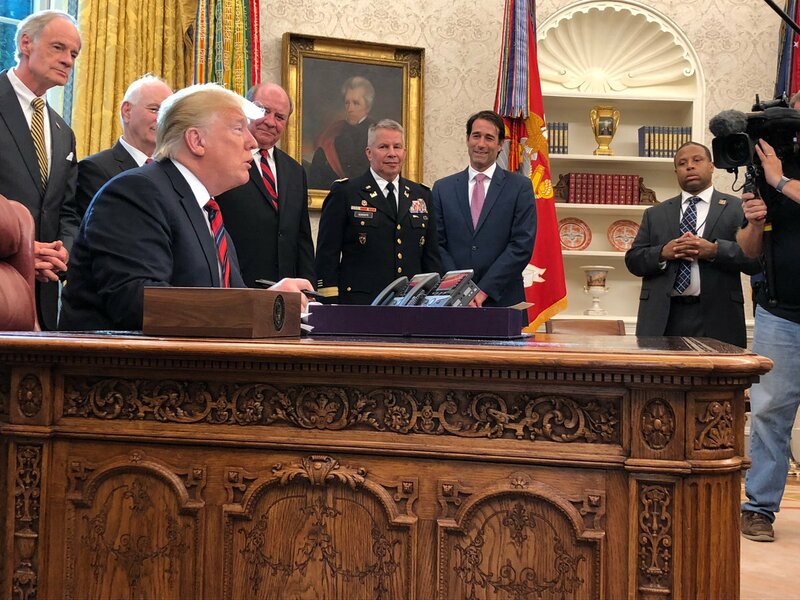 You can't play that game on me," @POTUS, leaving @WhiteHouse, said of Russia and non-adherence to the INF treaty. 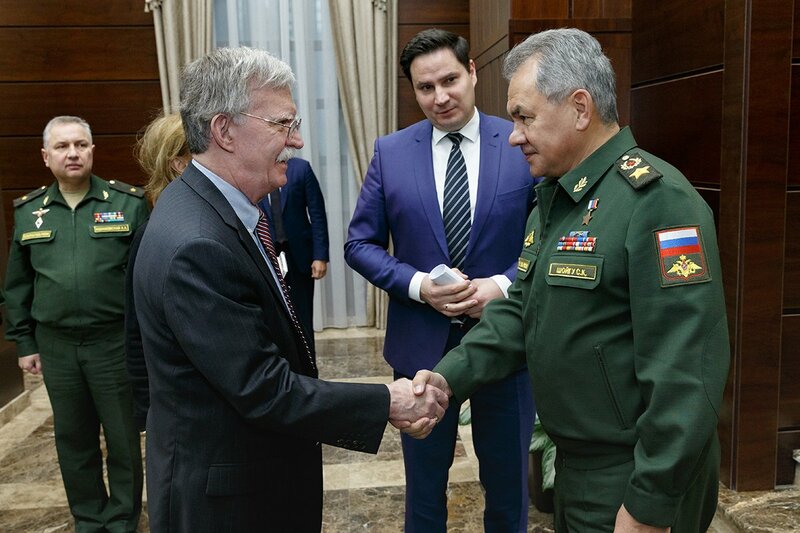 John Bolton sits down for dinner with Sergei Lavrov in Moscow.